Essential Oils work fantastically well for Gum Inflammation because they contain antibacterial and anti inflammatory properties. The only thing you need to keep in mind is that not every essential oil is the same. You need to do some thorough research to see which one’s help with the gum problems. Another thing to consider is that essential oils are created differently. Some are produced for mass production which means the manufacturers dilute the oils down too much rendering them ineffective. You must look for small companies that use the right concentration of oil to keep their active properties intact. I have personally used a couple of different formulations and am pleased to say that during the time I was using them, my gums become stronger, were bleeding less and the inflammation overall stopped. If you stick around we will show you the scientific research that backs our claims and which Essential Oils For Gum Inflammation work best. Why Does Gum Inflammation Occur? 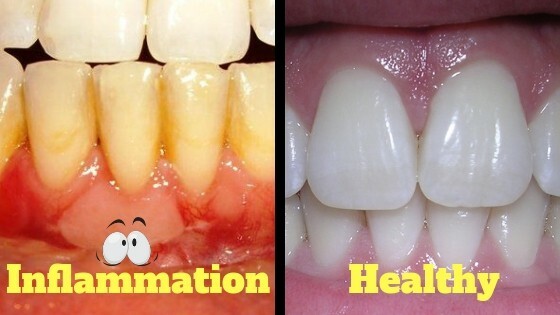 Inflammation of the gums happens because you have not taken proper care of your oral health and as a result of this you will develop gingivitis (inflammation of gum tissue). It’s not too much of a problem in the start because you can bring it under control and reverse it. But if you don’t improve your oral hygiene routine, it can and will develop into periodontal disease which is NOT Reversible!. Another big aspect you need to be looking at is the area where the gums and teeth meet. If you see there are small pockets appearing around the teeth you will have an increased rate of inflammation because it will allow the bacteria to get into these spaces and multiply. At the more advanced stage, periodontitis can cause the gums to recede, leaving larger gaps between the teeth and loosening them. Yes plaque is the most common cause of inflamed gums. That sticky substance that is full of bacteria latches on to the teeth near the gum line area and causes the gums to swell up and start bleeding. If you don’t want your gums to become weak and diseased, you have to make sure you brush and floss your teeth every day without fail. If you don’t the plaque will harden up and turn into tartar which is bad and will lead to further complications. Essential oils are fragrant volatile substances synthesised by plants. There are currently more than 800 remedies listed and these can be found in Ebers papyrus. Such numerous remedies coming from essential oils warranted further research into how they carry out their functions. Numerous studies have found that essential oils contain anti inflammatory, anti microbial and anti oxidant properties. These functions come largely from the oxygenated terpenoids and a few hydrocarbons found within the oils. The terpenoids work by diffusing into bacterial cell membranes and damaging it causing cell death. Also known as Commiphora myrrh, It is found in the Arabian peninsula and in Africa. It’s high in Flavonoids which can help to assist in inflammation reduction and naturally support the body’s own immune system. Myrrh has considerable antimicrobial activity and is medicinally used in a variety of diseases. It also possesses significant antiseptic, anesthetic, and anti tumor properties. Tea tree oil comes mainly from the Australian native plant called melaleuca alternifolia. It offers a broad spectrum of antimicrobial, anitfungal, antiviral, antioxidant and anti inflammatory effects. It’s an active ingredient in many topical formulations and can be purchased easily in western countries. A point to note is that a couple of studies have shown that it is effective against periodontal disease. Also known as Mentha Spicata, this ingredient is mainly used for its flavour. It gives off a sweet minty taste so will make it easier for you to use the product. Another property is its analgesic activity which means it helps to relieve pain wherever it is administered. This means it could also be used as a short term toothache remedy. it’s indigenous to Europe and the Middle east but can be grown anywhere nowadays. Peppermint oil possesses a fresh sharp menthol odour and a pungent taste followed by a cooling sensation. It also has a variety of therapeutic properties and is used in mouthwashes, toothpastes, and topical preparations because of its unique antibacterial properties. The Bass Method Of Tooth brushing is probably something strange to you but did you know it has been scientifically proven to reduce more plaque and bacteria from the gum lines than any other method. One study carried out in 2014 showed that a significant reduction in plaque was seen in Bass technique followed by horizontal scrub technique and the least effective was seen in Fones technique. So with the facts established let’s talk more about what this technique involves and why it’s so effective. 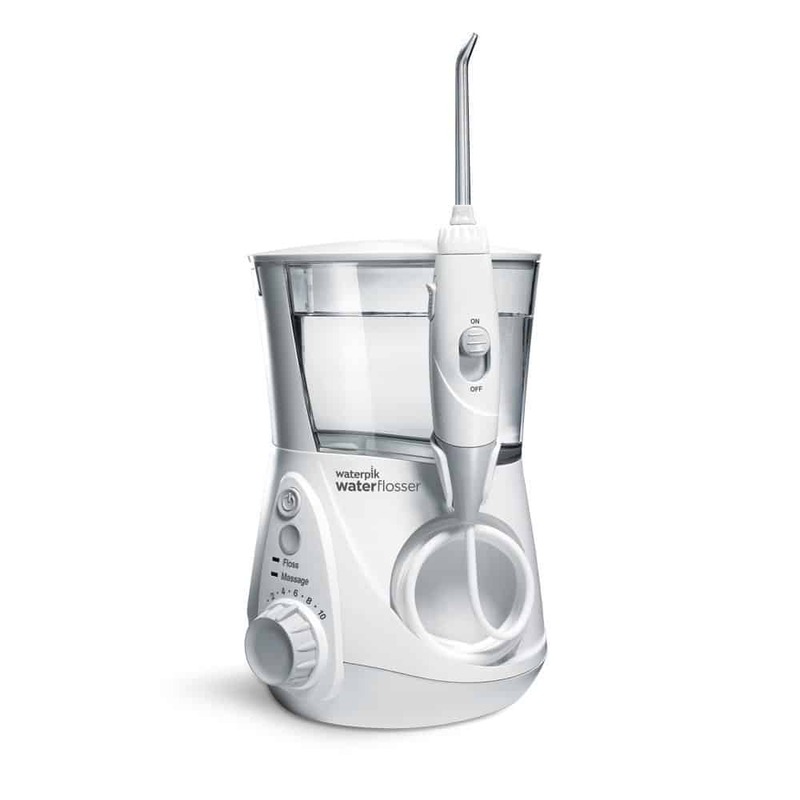 Full article about the Bass Toothbrush can be found here. Bass brushing technique is scientifically proven to disrupt and remove bad bugs that cause gum problems. Dr Bass learned through experimentation that bacteria like to stick around and under the gum line and that normal brushes were not effective in disrupting them. Dr Bass invented this unique brush which contains fewer bristles than normal brushes and are more spaced out. The ends of the bristles are round making it more easy on the gums. At first glance this brush looks cheaply made but the fewer bristles and round ends means it won’t irritate the gums or damage the enamel. Using an oil based solution rather than regular toothpaste is much more effective because the oil can seep down into and under the gum lines reaching those bad bacteria. 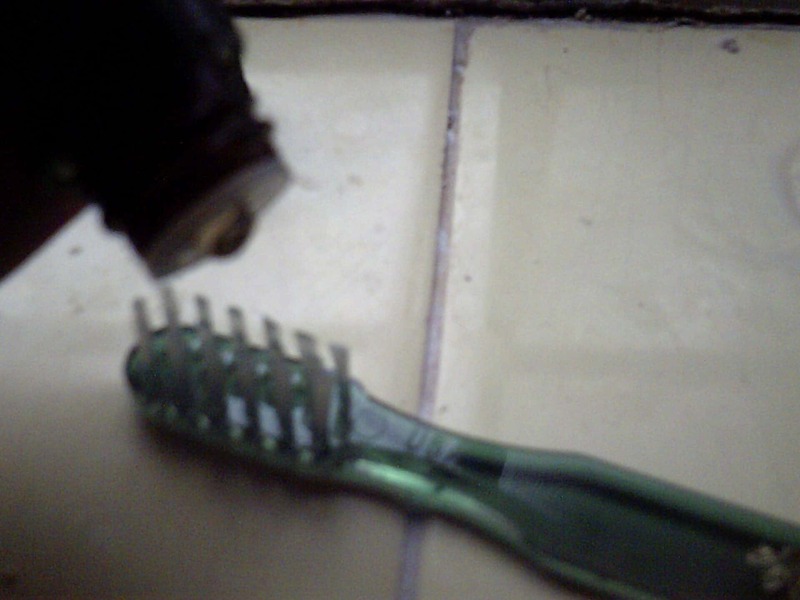 The bass toothbrush can then wiggle down and disrupt and eliminate them. Sounds pretty simple and that’s because it is! This was the morning routine I used to follow each day 40-50 minutes after breakfast and it worked!. My night time routine was less time-consuming. I only carried out steps 1 and 3 before I went to sleep which was enough. 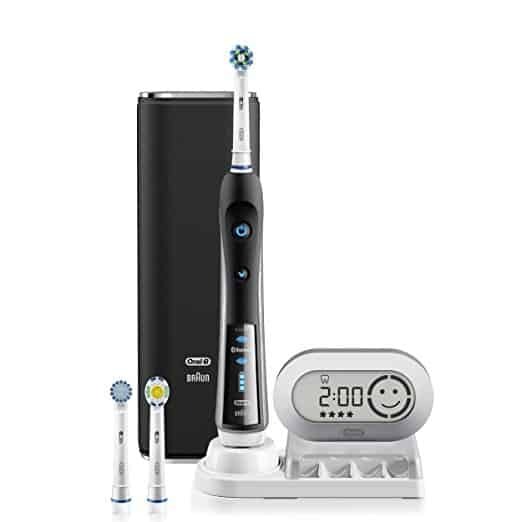 If your wondering about the surface of my teeth, I used the bass brush to clean them instead of the electric toothbrush at night time. 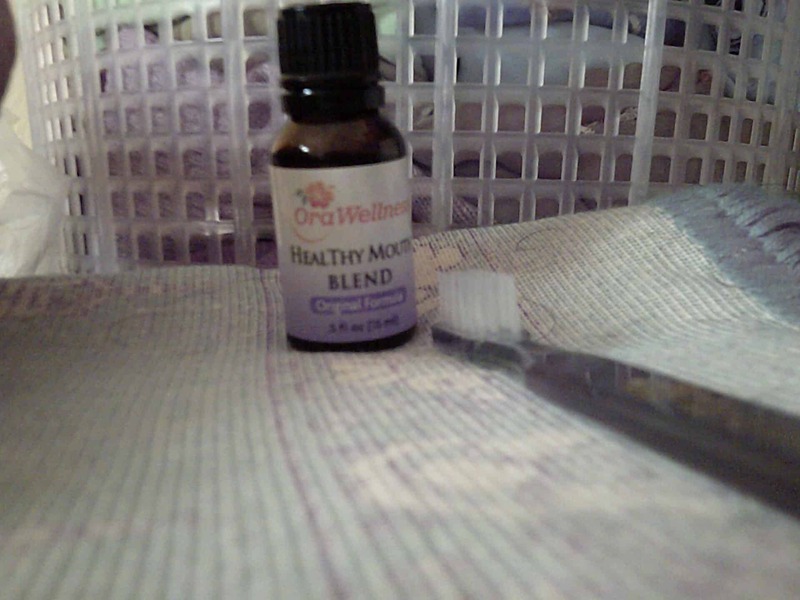 What Is The Healthy Mouth Blend? It’s a unique oil based formulation consisting of various essential oils that is specifically created to help fix all gum related issues. 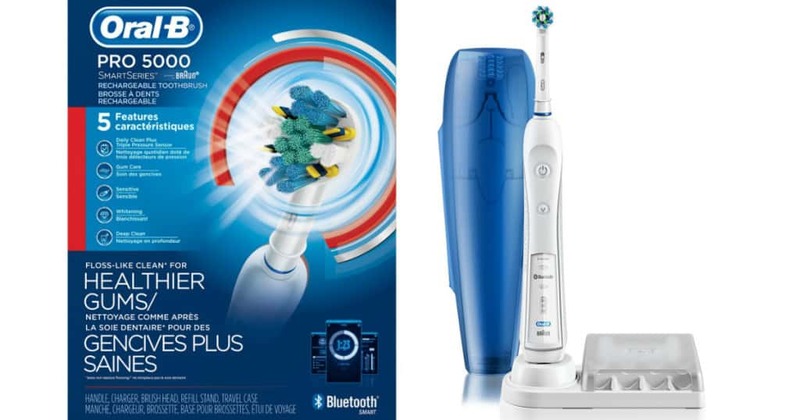 It works most effectively when combined with a bass toothbrush because it can go under the gum line and help destroy bacteria while the brush can help disrupt the bad bacteria out of the gum lines. If you want to know what each of these ingredients does, this article explains it in full detail so please check it out. They all have antibacterial activity so you can be certain that it will kill off the bad bacteria in the mouth. Place a drop between your index finger and thumb and run a piece of floss through the oil, coating the floss with the healing plant oils in the HealThy Mouth Blend. Flossing with this method provides an even deeper method to get the balancing power of the formula deeper in the gum pockets especially between molars where gum disease is easiest to spread! 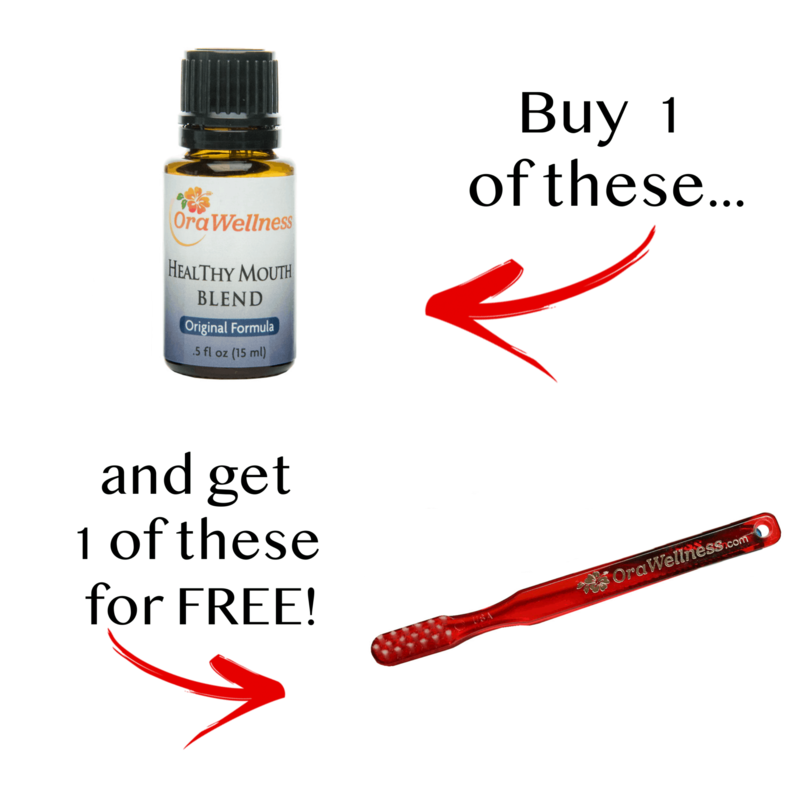 The team at Orawellness currently have a special Christmas offer where if you buy the healthy mouth blend you will receive a Free bass toothbrush. If your interested in getting rid of your Gum Inflammation for good, head on over to Orawellness Now! 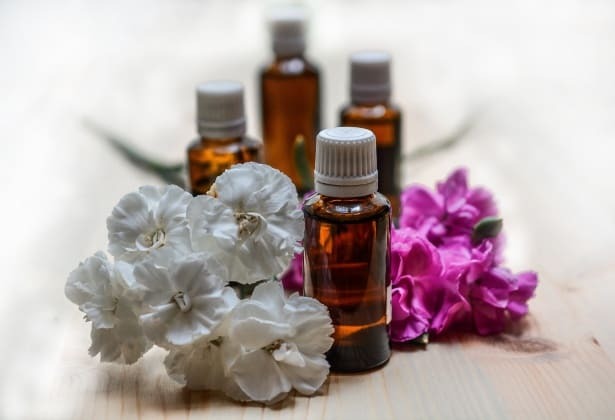 If you want you can buy separate oils and then mix them together but that can get quite expensive and the other problem is getting the right concentration into a bottle. It can be quite a pain for busy people who don’t have time to create a magic potion. Will and Susan (creators of the healthy mouth blend) have done all the hard work so you don’t have to! Essential Oils For Gum Inflammation have been studied and show they are very effective against bad bacteria that harbour the mouth. They have antibacterial, anti septic, anti inflammatory and a few other properties which is a good combination when trying to heal gum tissue. We have found that the most effective way to use essential oils is by combining them with a bass toothbrush. This combination will help the oil seep down under the gum line to disrupt and eliminate the bad bugs. If your on the fence about using oil based toothpastes please take our word for it, They Work! You could if you wanted just use tea tree oil on its own and see how that goes but make sure you give it between 2-4 weeks to take its effect. We would like to add that this oil is quite bitter so the first few times you try it, you might struggle but you will get used to it within a week. I would have commented on it right after i read it, but i had to go try the new method for brushing my teeth. It worked pretty well. I also tried some tea tree oil i had on hand, not sure i can stand the taste of it, seems a little weird flavored. at any rate, thanks for the information even if it revealed the fact that i have been brushing the wrong way for my entire life. Tea tree oil is quite bitter and can have a slight sting but i have noticed that my gums have stopped bleeding when i floss them which is a fantastic sign. I still bleed whilst brushing but i put that down to weak gums. They are slowly getting better though. Thanks a lot for the helpful and informative article on Oral health. I got great insights and learned a lot of things. After reading your post I said to myself “I am 36 years old oh my god no one taught me the right way to brush my teeth” Thanks a lot for the Bass brushing technique. When the baby got the teeth’s I am going to teach my child this technique and the baby is on the way due on March lol. The video you embedded is very helpful and sometimes it’s very easy to understand when we watch things. After posting this comment the next thing I am going to do is brush my teeth using Bass brushing technique. I need to buy the brass brush and Healthy Mouth Blend. You not only discussed the problem but you have provided the solution as well! Thank you for this very interesting and thorough article, Teeth Man! I sometimes feel some tooth pain, depending on what I eat, so this is really helpful. And I do prefer natural ways to reinforce my gums and teeth so I am really happy to have found your blog post about how to use essential oils for that purpose. I did not know about the Bass method for tooth brushing! This is absolutely fascinating! I am like you… the first video in your post makes a lot of sense to me and I want to invest in such a toothbrush for myself and try the technique. Go right ahead Nathalie, I’ve actually brought a pack of 3 bass toothbrushes so i’m all set for the next 18 months or so, depending on how fast they wear away but the one i am using currently is still intact and still looks like new even though i have used it for 4 months now.